The Nile Crocodile is the second largest extant reptile after the Saltwater Crocodile. Unlike most other crocodile species, it is listed as “Least Concern”, and is the biggest reptile that has huntable populations. The range of the Nile Crocodile is spread all over Southern and Eastern Africa, with hunting opportunities existing from South Africa to Mozambique, Zimbabwe, Zambia, and Namibia. The most affordable Crocodile hunting opportunities are to be found in South Africa, where you can find a Crocodile hunt in the $4,000-$7,000 range. However, the size of the trophies doesn’t often exceed 10-12 feet (3-3.5 meters), which is rather mediocre for the species that can get over 18 feet (5 meters) in length. 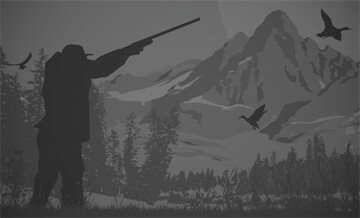 Hunting opportunities in locations where spectacular trophies can be killed will cost from $8,000 to $10,000. Crocodile hunting is often combined with hunting other dangerous game animals, including Hippo and Cape Buffalo, and these combination hunts, naturally, are the most expensive. Alligators and crocodiles are one of the oldest creatures on this planet - they evolved as far back as 60 million years ago, and the fossils of their immediate ancestors date back to 220,000,000 b.c. These reptiles are wonderfully adapted to their environment, and perform an essential ecological function. Read more about their evolutionary history, the risk they pose for people in Africa, and how to hunt them in our post about the Nile Crocodile. Crocodile hunting opportunities exist year round in Africa, but not in all countries. In Mozambique, for example, the season runs from May to November but in many areas the water levels are too high to hunt until July. Seasonal variation also plays a part in choosing the best time for hunt: crocodiles hibernate when temperatures drop below 55 F/13 C (admittedly, that doesn’t often happen in Africa), while dry season and low water make it easier to find your trophy. There are three main methods for crocodile hunting in Africa. By far the most popular, especially among the trophy hunters, is waiting in a blind over bait. The bait is so positioned that the crocodile has to get out of the water to get it. This makes it easier to estimate the trophy’s size, while known shooting distances and a convenient position makes a precise shot easier. Therefore, the chances of the reptile’s escaping with a mortal wound are much lower. The alternative methods, for people who prefer more activity and an element of risk, are stalking from the shore or approach in mokoro, a kind of African dugout canoe. Crocodiles evolved before animals developed the portions of the brain that are used to process complex emotions and imagination. Knowing neither pity nor cruelty, “a mindless killing machine” is perhaps an accurate description of the creature. It’s hard for us humans to associate with reptiles in the same way we associate with other mammals. As a result, many of the people who find killing of a lion or leopard appalling will feel no remorse about killing a crocodile. A pursuit of the Nile Crocodile will immerse you in the past - as distant as the dinosaurs, and as recent as the early explorers who had to face man-eating beasts (it’s said that every crocodile over 15 feet almost definitely tasted human flesh). With an element of danger, especially when stalking or hunting from a canoe, this makes Nile Crocodile hunting a classic African safari. Come and enjoy a pleasant safari with your host Gerhard - here you can book a crocodile safari at a very special price! This tour includes 1 crocodile over 3 meters plus till 3.9 meters.